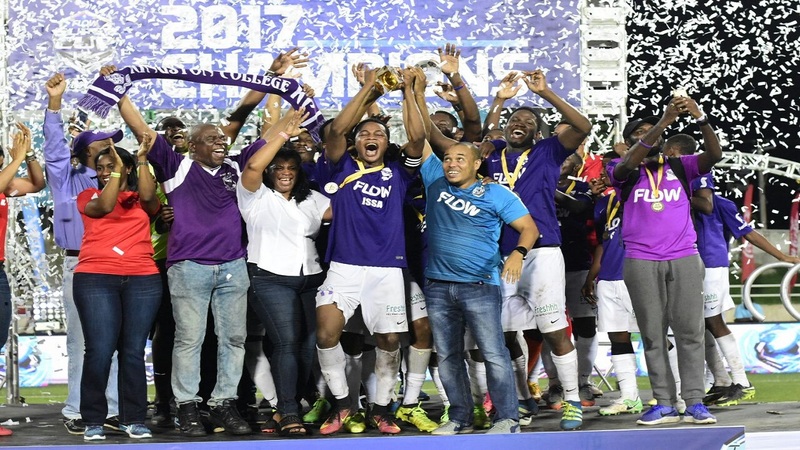 Jamaica College (JC) secured their fifth-straight ISSA/FLOW urban area Manning Cup title and their 29th overall on Friday night by defeating St Andrew Technical High School (STATHS) 5-3, in a penalty shootout at the National Stadium. STATHS forced the match into the shootout after they came from behind to earn a 1-1 draw after full and extra-time. Shaneil Thomas broke the deadlock in the 29th minute to hand JC the lead. Thomas was sent through and although hounded by two defenders, he managed to control a high ball and then hammered out of the reach of the goalkeeper. Before the opening goal, STATHS looked the better team and during that period had most of the possessions. 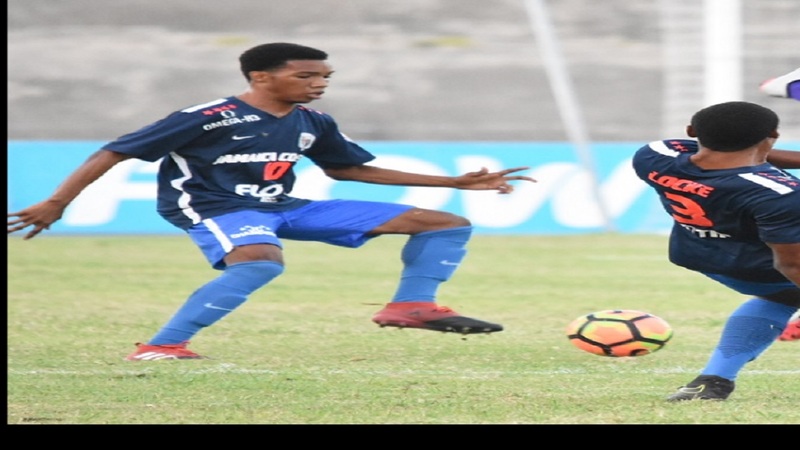 JC gradually showed improvements in their play with the one-goal lead, but STATHS kept up the pressure of launching attacks, which finally paid off in the 41st minute when David Smith chested a ball from a corner kick into the goal. In the second half, both teams received other opportunities at goal but were denied by poor finishing. That half was evenly contested for most part, but in the latter stages of that period and in extra-time STATHS decided to sit back, which made it difficult for JC to find an opening. Norman Campbell sealed the victory for JC in the shootout after STATHS missed their fourth effort. Tyreke Magee, Kevin Rochester, Shaneil Thomas and Maliek Howell were the other scorers for JC from the spot; while David Smith goalkeeper Jay-Dean Wright and Jevon Johnson scored for STATHS. It was the third meeting between the two schools this season with the previous two ending in 1-1 draws. 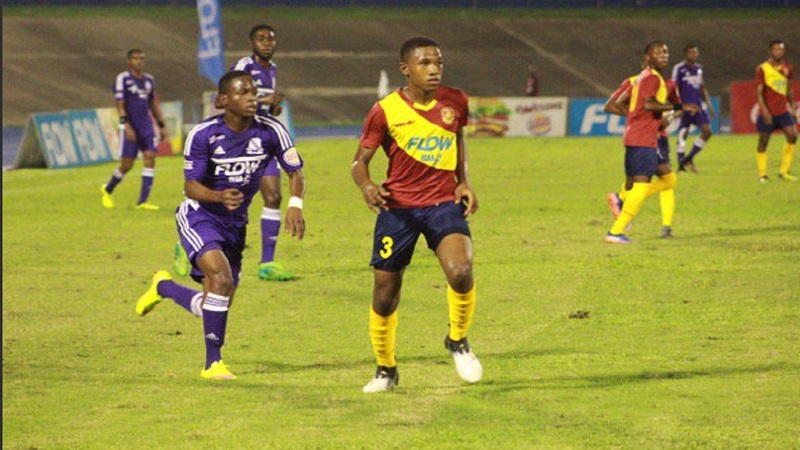 Interestingly, the teams also contested the opening game of season in Montego Bay. The last time, a team won more than four titles in a row, came way back in 1919 when JC completed seven straight. 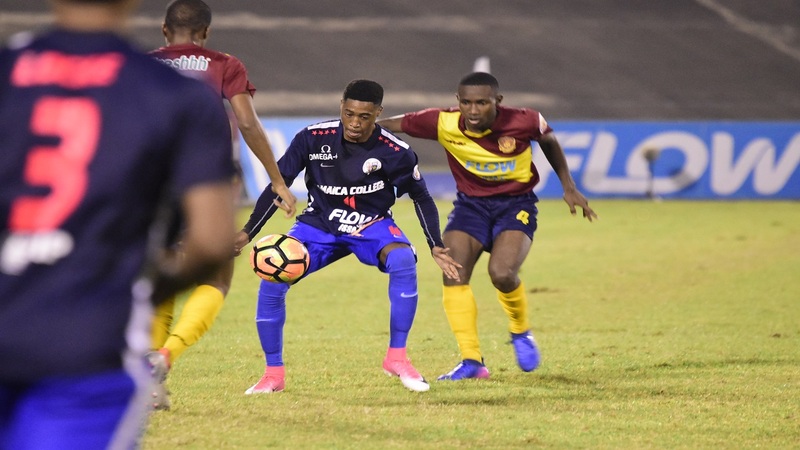 It was the first appearance for STATHS in the final since they won their only Manning Cup title in 1987. 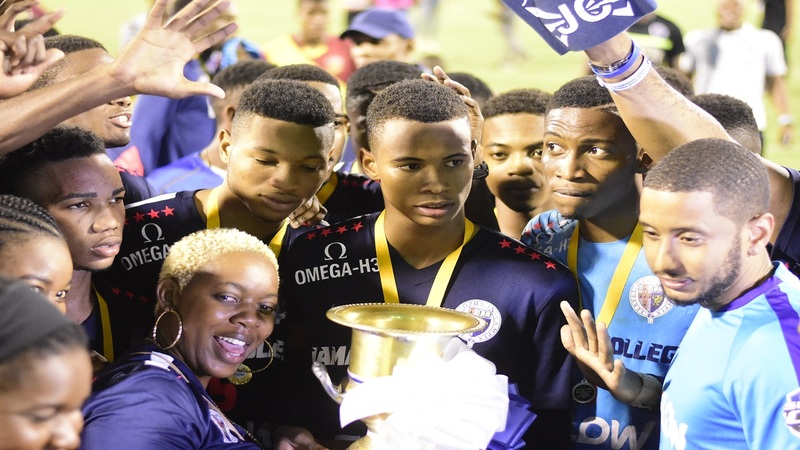 The Manning Cup title marks the second for JC this season as the 'Dark Blues' had won the Walker Cup knockout crown by upsetting Kingston College in the final on November 7. "We knew it would be tough as STATHS is organised at the back but I am happy that we were able to finish on top," JC coach Miguel Coley said. "I am elated, we won a tough game tonight. They choose to sit back because they trust there goalkeeper and we made some mistake in the final third. I was just hoping that in the penalty shootout they would miss a chance and they did," Coley concluded. STATHS coach Philip Williams says his players did well. He said, "it was a good season. We stick to the game plan tonight and we pushed the defending champions to the limit." "We will be back as the school now has a good football programme in place to ensure we continue to do well," Williams further added.